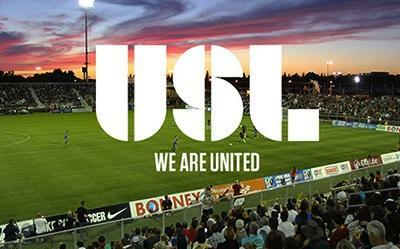 USL PRO is now simply the USL. In latest of a long line of name changes, the league that began an indoor league in the Southwest in 1986 is rebranding. And in the coming months the USL will apply for USSF Division 2 status. In a statement, the league said it is "well on our way to meeting our aspiration to be the foundation of domestic professional soccer, and the best way for players to build their careers to the top tier." The USL will kick off the 2015 season in March with 24 teams, up from 14 in 2014. It has added seven MLS second teams, joining LA Galaxy II, which launched in 2014. The 2015 season will feature the debuts of MLS second teams in Montreal, New York, Portland, Salt Lake City, Seattle, Toronto and Vancouver as well as clubs in Austin, Colorado Springs, Louisville, St. Louis and Tulsa. Charlotte has new owners and a new name. The league has launched a new web site (uslsoccer.com) and new Twitter handle (@USL). The new web site includes a section on the PDL, the organization's national amateur men's soccer that operates in the summer, but conspicuously absent is the W-League. A web site for the women's league whose membership has dropped from 25 teams to 18 exists under wleaguesoccer.com. 1989: Southwest Independent Soccer League which included both the indoor and outdoor leagues. 6 comments about "USL rebrands, seeks USSF Division 2 status". Allan Lindh, February 10, 2015 at 5:06 p.m.
NASL should be the 2nd division league, USL the third. And they should institute relegation up and down, show MLS how it's done. Put the pressure on MLS to consider promoting a consistent winner in the second division to MLS -- they want expansion, do it the honest way, rather than just following the money. And MLS has relegation already -- Chivas were relegated, Montreal is sounding like a candidate. A badly run team with poor fan support would be right at home in the NASL. And with the hope of promotion, NASL teams might start building stadiums and paying players a little more, start bumping up the quality in all leagues. A winter semi-pro league stretching from California to Texas, or maybe Florida, would be nice also. College kids could even knock off Winter Quarter, go play some soccer in the sun, take online courses, and be back in school for spring quarter. John DiFiore, February 11, 2015 at 4:11 a.m.
Allan, NASL is a competitor of USL. They are not going to promote/relegate with each other. And BTW, expansion AND league success IS about the money. Promotion/relegation (in the traditional sense) is NOT going to happen in the US. We will probably see more college teams, like BYU has done, join PDL. Mike Jacome, February 11, 2015 at 1:53 p.m.
Allan Promotion-Relegation should be the inevitable place to go for these leagues. Eventual promotion to MLS will provide enough insentive for these leagues to enhance and grow in quality, investment and attendance. We do not have to emulate the three up-three down concept of the Brittish premier league. But one team relagated base on the last three season percentage should be the pattern to follow. NASL and USL promotion could be only based on one year performance. Allan Lindh, February 11, 2015 at 4:08 p.m.
John I understand they think they are competitors, talk about shooting yourself somewhere just below the navel. That kind of ego trip has been a major detriment to soccer in this country. We need both a 2nd and 3rd division. If they really gave a damn about soccer, they would choose their strongest teams, with proper balance geographically, put them in the 2nd division, rest in the 3rd division. Then have regionally focused schedules, with a tournament at the end to bring choose an overall champion. And then they could have relegation and advancement. And as Mike says, it could be more intelligent than just 3 up, 3 dwn. Could take into account finances as well as performance, and regional balance as well. Nate Nelson, February 12, 2015 at 10:38 a.m.
Did someone say "EGO" its a short but profound word just like USL's Alex Papacrackis. USL has become MLS light because with MLS, USL was on the verge of having a "USLPRO" league with 6 teams, and MLS gets to save face and money (especially money)with moving their reserve league. Lets remember MLS went to NASL first with this proposal and they said no...Folks at USL climaxed when they got the call. Also its only a matter of time before MLS assume control of the whole league or when the contract ends takes it teams back and invite the USL team to join them. Forget promotion and relegation the future with be MLS and MLS reserve! Nate Nelson, February 12, 2015 at 11:30 a.m.
Nu-Rock dba USL and that was part of the sales agreement. USL has never been able to attract sponsors and left it up to each team...imagine McDonalds leaving sponsorship up to each store?